When I think about it, I guess it is about 5 years ago that at least I started to become more deeply obsessed with rum and had looked a little bit more behind the mere surface of the sugar cane distillate. In comparison to the more or less clearly regulated whisk(e)y market, entering the rum segment was correspondingly chaotic and confusing. An immense number of national regulations that exist side by side without a comparable international trade organization with binding rules and in comparison also much looser EU directives make things possible when it comes to ​”rum” that the whisky providers would simply not be able to legally implement and that the whisky community, (which is mostly a puristic one) would never approve. Against this background, especially the subsequent sweetening of rum has become a topic that sometimes divides the rum community. Some categorically reject sweetened rums and sometimes vehemently call for a reformation of the guidelines for the distribution of rum within the EU, on the other hand, true advocates of the so-called “sweet rums” fight for their beloved, sweeter rums. A trench warfare, which is argumentatively sometimes a multilayered debate, but certainly has its own raison d’être due to unclear and loose regulations. Be that as it may, for me the topic of subsequent sweetening was unknown for a long time until it was more or less made public as a consequence of some analysis data by Swedish and Finnish food authorities. In particular South American rums, which had previously enjoyed great prestige (for instance Ron Zacapa or Ron Botucal), but also very good-selling “exotics” such as the Philippine Don Papa rum, were suddenly exposed as sugar bombs, to which sometimes even flavoring agents beyond sugar were added. While more or less strictly regulated Caribbean states such as Jamaica or Barbados (and of course above all the French overseas territories with their Rhum Agricoles regulated by the French AOC) do prohibit any subsequent sugaring by law, especially South American rums have fallen into disrepute. What is my personal opinion on the whole matter? Well, I would also like to have a more transparent obligation to openly declare any addition of sugar or other flavoring agents and I must also admit that I felt a little betrayed as a consumer in the course of this disclosure, but I also have to confess, however, that from time to time I like to sip a “sweet rum”. Whether it is presumptuous to enjoy it under the name “rum” or not, is still an open question though. Why am I telling you all of this? Well, I would like to once again take a look at a rum from South America after a long time here on the blog. Actually, it’s a rum from El Salvador, which is certainly not the first address that would come to a rum connoisseur’s mind. 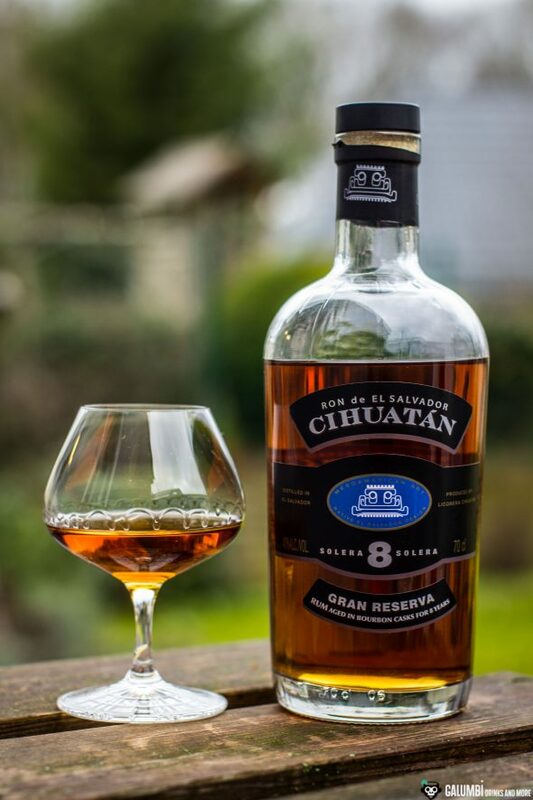 There the Ron Cihuatán is made by the distillery “Licorera Cihuatán”, where rum has been produced since 2004 (the first commercially distributed rum of El Salvador). 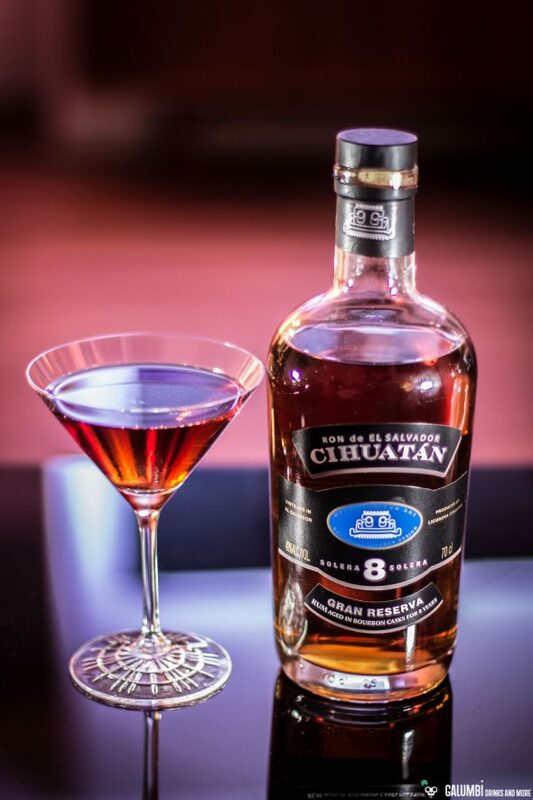 Cihuatán means “next to the woman” and is taken from the name of an archaeological site close to the distillery that goes back to the Mayan-Pipil culture which had their sphere of influence in that region. According to their own information, the rums from the Licorere Cihuatán have sugar added at about 23g per liter (I did not measure it). The bottle, which I would like to review here today, bears the age statement “8 years Solera”. Again, many friends of clear specifications will throw their hands up in horror because for the practice of solera maturation (which originally comes from the Andalusian sherry production) several barrels (for this rum former Bourbon barrels were taken) with rums of different “ages” are stacked and after they take rum from the oldest barrels in the lower rows of the solera stack, these barrels are refilled with younger rums from the upper rows. So it is always only a part of the rum that is really 8 years old and depending on the frequency of removal there is also no constant concentration guaranteed. Many critical remarks that should nevertheless don’t influence the tasting. 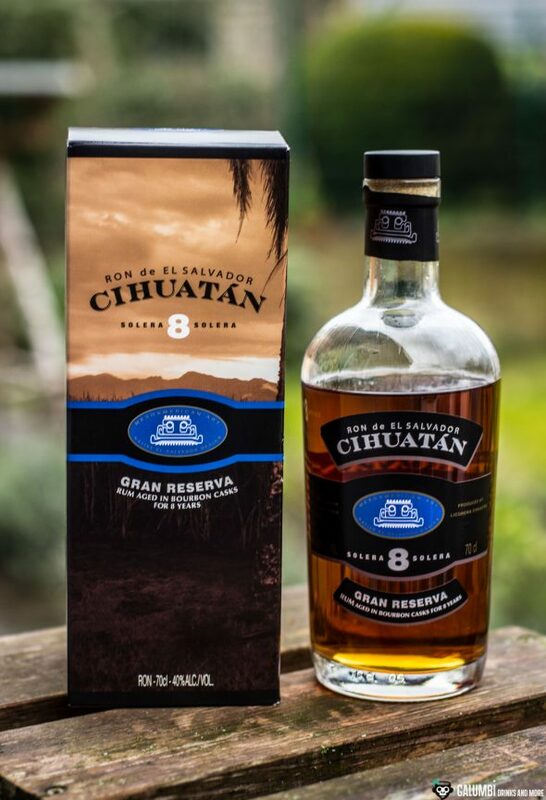 How does the Ron Cihuatán Solera 8 years perform neat? Aroma: The nose offers beautiful, deep aromas of vanilla, toffee, oranges and fine spices (such as cinnamon, nutmeg and cloves) and some roasted coffee. Taste: One thing first: for a “sweet rum” the sweetness is relatively discreet. We are not dealing with an almost sticky sweet rum like for example the A.H.Riise rums. The similarities to a Ron Zacapa for example are however undeniable: vanilla, a fine coffee, a hint of coconut and spice, subtle oak tones, hints of orange. A certain youth is noticeable nevertheless: It is a bit more “flat” than some older representatives which leads to a less lasting, less complex flavor. Nevertheless, I like this rum, even if it certainly won’t become my all-time-favorite. Of course, the use in a cocktail is interesting here. 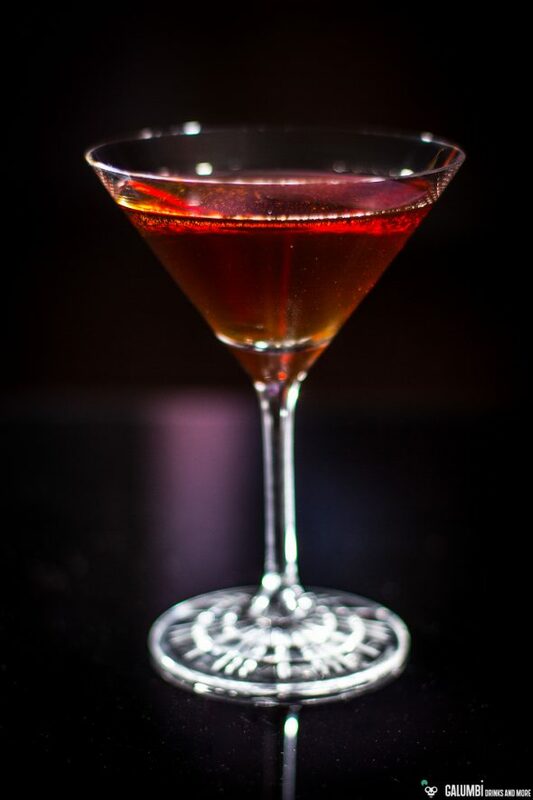 That’s why I opted for a stirred cocktail, heavily inspired by a drink called Old Bill, created for the first time by Neya White in San Francisco. My variant consists of Ron Cihuatán, Pedro Ximenez Sherry, Manzanilla Sherry, Spanish Brandy, Maraschino and Orange Bitters. Preparation: Stir all ingredients in a mixing glass on ice until cold and strain into the pre-chilled glass.